I could go on for days about how wonderful the Story of the World series is by Dr. Susan Wise Bauer. I might have even shed a tear or two as we finished the reading through books last year. This history series is engaging and well-written, plus it lends itself easily towards notebooking, which we love around here. While using the series, we learned so much about history and enjoyed making memories that I hope will last a lifetime! But did you know that there exists another Story of the World series, by MB Synge? I though that I would share with you how we have used these two series for studying history in our homeschool. I discovered classical education via The Well-trained Mind part way through my daughter’s kindergarten year. I was enamored with the philosophy, but still held by my desire to use Sonlight. 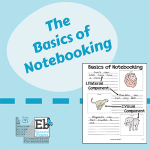 I loved the books that Sonlight used for history, readers & read-alouds, but I felt the need to approach them from a more classical slant through using notebooking and other activities. So for first grade, I decided to replace Child’s History of the World in Core 1 (now A, I think) with Story of the World Volume 1 and the activity guide. We flipped back and forth through the volume, adding in notebooking and activities along the way, which led to a great year. So, when planning for second grade, I decided to let Story of the World Volume 2 and the activity guide take center stage. I also added in readers and read-alouds, some from Sonlight, some from other lists. It worked out so well, that we did the same for volume 3. When it came to volume 4, we planned on doing the same, but were derailed a bit by an unexpected move back to the US. We ended up finishing the year with a study of the great state of Virginia. 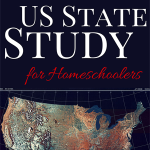 We also added in my US State Study plans alongside of volume 3 & 4. Fourth Grade: Highlight the major events in world history from Story of the World Volume 4 along with a US State Study and 4 week focus on our home state OR we might just stick to my original plans. I found Synge’s series when I was researching what we would do for the logic stage years. We first tried a stint of Mystery of History, which I really enjoyed, but it turns out my daughter didn’t like it as much as I did. 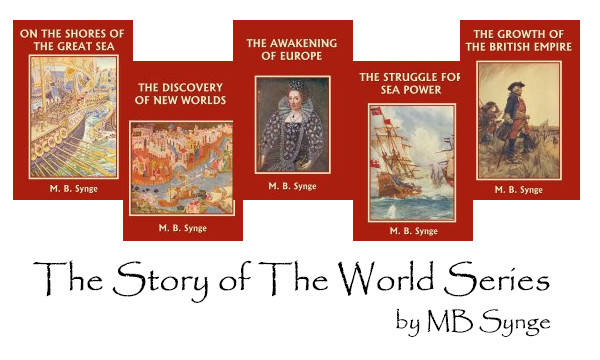 So for now we’ve settled on using the other Story of the World series by MB Synge, which is in the public domain. It’s been perfect for the independent learning which my daughter has been craving and it still allows us to continue notebooking for history! I have also added in a few primary sources and mini-research projects along the way as we needed to ramp things up a bit for the logic stage years. 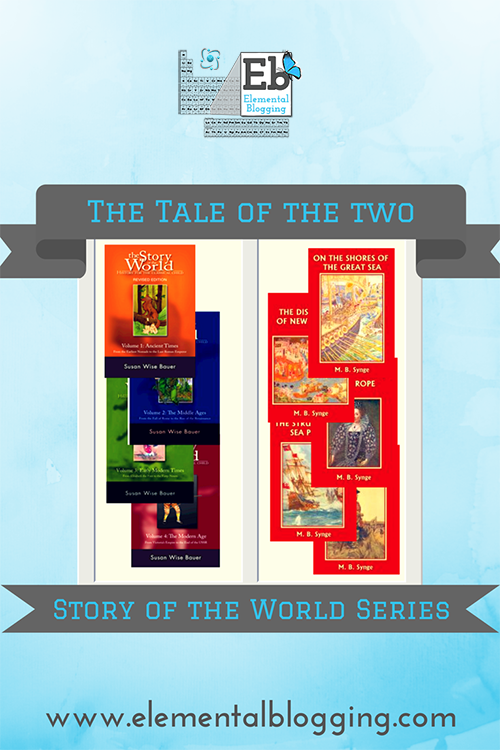 I hope that you will find our tale of the two Story of the World series to be useful! If you have any questions, please leave a comment or feel free to send my an email via the email me tab. 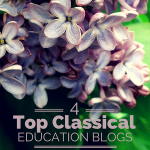 For those who are looking for good literature to go along with the 4 year cycle, check out the Classical House of Learning http://www.classicalhouseoflearning.com/. This woman has literature lists for all 4 years both grammar and logic stage (with some missing for Early Modern as she decided to have a baby this year 🙂 ) but nearly everything else is there. There is copywork and dictation, discussion questions, vocabulary, narration pages etc. All in the WTM philosophy. She even has a reading schedule to line the literature up with SWB’s Story of the World but it can be used with any history including the Synge series. And best of all….. it’s FREE!! Thanks Heather, I completely forgot to mention Laura’s literature program. We did use it in 3rd and 4th and now we pick and choose units for our logic stage studies. I just found it and we’ve used it for a few books and plan to use it fully next year for logic as my youngest starts the cycle in the 5th grade. I just can’t get over that’s it’s free. 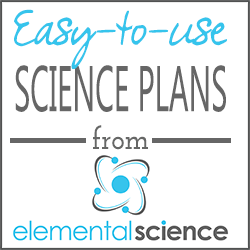 It’s the only thing out there that is a better deal than Elemental Science :-). Thanks Paige. We’ve followed the TOC of Dr. Bauer’s books in order to complete the first two Synge books. Last week with the chapter on Gutenberg/Henry VIII, we began Awakening… It is a wonderful chronological history book series & made easy to choose side readings from cds I bought from another company. The kids here choose to write a notebook page after reading from 3 or 4 correlated books to the time period or topic. Next week is Galileo & Copernicus with lots of stuff from Amazon Prime to watch. 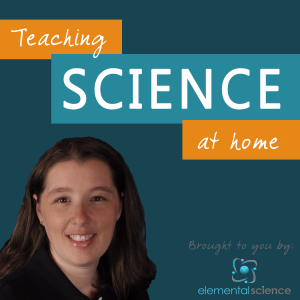 My kids like this week best when it correlates to a fun experiment in eESAL lessons. Which, thanks to you, I can help them with. Dee, that probably would have been so much easier :). Glad to hear that you guys are enjoying the series and ESALS! Have you taken a look at the free kindle book lists for historical fiction that Judy posts at Contentedathome.com? My kids have picked out several that correlate to our history subject matter. We spend quite a bit of time reading since the used kindles arrived last Christmas off Ebay. Also, I plug in the kindle on the car drives for text to voice and it keeps the tween bickering down to a low roar. I haven’t see that yet, so thanks for letting me know. We love our Kindle and I try to use it as much as possible for our literature books! Thank you for sharing this! 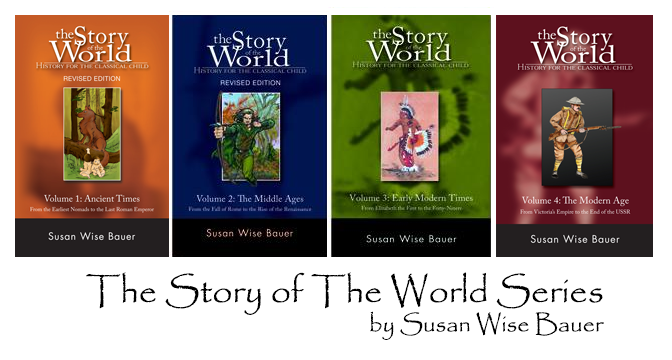 We use Dr. Bauer’s Story of the World and Laura’s literature program and love them both. I will check out your plans for the other Story of the World as I have a child in the logic stage right now and want to increase what he does for next year. Carrie, your welcome! The logic stage years are fun, yet challenging ;).